What are the basic rules for playing Chinese poker? - Casino Answers! 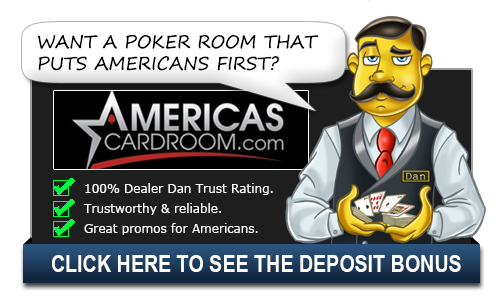 Casino Answers » Poker » Misc Poker Games » What are the basic rules for playing Chinese poker? In Chinese poker, you are dealt 13 cards, and the goal is to arrange them into two decks of five cards and one deck of three cards that will beat the other poker hands at the table. Chinese poker is played with 52 cards and four players, Once the players agree on a stake, the cards are shuffled and dealt. Each player arranges their “back”, “middle”, and “front” hands, ranking them best to worst, respectively. Once finished, each player places the hands, face down on the table, back hand closest to the middle and so on. Hands are judged according to standard poker rules. When everyone has placed their cards on the table, players turn their cards over and corresponding hands are compared, such that at the end of the hand, there are three winning hands. Winners win one unit per hand won. There are special circumstances for players who win all three hands or for hands that combine to give the player a flush or a straight. If a player is holding a straight or a flush, he may lay the cards down all at once instead of in the 5, 5, 3 order, but he must beat all hands on the table to win. Unlike poker that we know in the United States, Chinese poker relies far more heavily on luck. This is because luck plays an important role in the culture of China and is considered a key facet of their society. One of the most important decisions in poker is whether or not you should fold, but this is never an issue in Chinese poker as you play every hand. The lack of mathematical analysis is a big reason that this game isn’t as popular on the internet as Texas Hold’Em but it is still a lot of fun to play. Where this really sticks out is when you realize that the mathematically correct play is not always the best play to make depending on the style of play of your opponent. A good example of this may be an opponent who doesn’t think the front hand is important so instead of you having strength in the back and middle you’d move your hands up in order to exploit that weakness in their game. The important thing to remember and try to do when playing Chinese poker is to scoop all three hands or avoid your hands being scooped. If you have a really great hand and two weaker hands, it’s much better to set your hands and take your chances than to try and build three middling hands. It should also go without saying that you should avoid playing invalid hands. This is pretty obvious, but it happens more than you think. Players are each awarded a scoop against you if this happens so it’s important to pay attention and make sure this doesn’t happen. Giving away scoops like this is a good way to lose money.